Moving from nursery to ‘big school’ can be a nerve-wracking transition, both for the children and for their families. 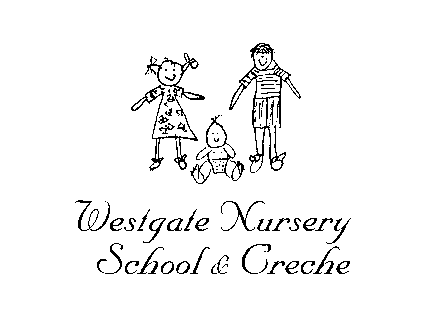 At Westgate, we have a comprehensive program to support our children to face this change as positively as possible. But what about the parents of the transitioning children? We recognise that the more comfortable and confident a parent feels about the upcoming transition, the more secure the child will feel. So here is a glimpse into what we get up to in the Butterflies room to support the school transition! We believe that social skills, independence and emotional literacy are of equal importance to academic performance when considering school readiness; our provision prioritises opportunities for children to develop and consolidate these skills in accordance to our beliefs. The ‘school’ roleplay corner is set up to give the children an idea of school routines and expectations. The children participate in ‘registration’, as well as sitting together in a group for a ‘lesson’ (no longer than two minutes). We introduce the idea of uniform with dressing up options, as well as school books and pencil cases on our writing station. Many of our table games and activities relate to school readiness as they encourage the children to take turns, share and follow rules to play the game. In fact, every learning experience offered in the Butterflies contributes to their school readiness, as they are planned in accordance with the EYFS curriculum for 30-50 and 40-60months. These objectives are intended to gradually prepare children for school; thus ensuring that all learning opportunities on offer in the Butterflies will contribute to school readiness. For example, our finger gym enables the children to develop the fine motor skills and coordination that are necessary for early writing in a fun, playful way. As for parents… we have recently reviewed our school transition schedule, and will be incorporating two new Parent Readiness Evenings. In the Autumn term we will host an evening session so parents can have a ‘taster’ of our curriculum, and the ways in which we support school transition through play. We will then repeat the evening in the Spring term, when we will also invite representatives from the local schools to join us. The school transition can be a daunting experience, but it can also be filled with excitement as your child begins on the next stage in their lives. We wish you all the best of luck! Following the introduction of our Story Telling Project last year, we have made several developments. We are pleased to say that our children are engaging brilliantly with the stories, and the older children are starting to tell their own versions of traditional tales – last week we were treated to Goldilocks and the Three Pteradactyls! Every February we host a Bedtime Stories event, where we wear pyjamas and read stories together. For the first time, the Butterflies Team invited their children’s parents in to experience the power of Story Telling themselves. We were so impressed with the turn out, and it’s great to think that some of the parents will try out some of the strategies with their children at home. Again, our Westgate family did us proud for World Book Day. The children’s outfits were fantastic, and we were able to share some special stories from home which made the event even more memorable. We are so pleased that our families clearly value stories as much as we do, and we will continue to foster a love of stories in the future! We are aware that most of our parents hear about their child’s nursery experience from the practitioners. So with this in mind, we handed out cameras over to the children to show you a child’s view of the goings on at Westgate! Welcome to our garden, as seen through the eyes (and camera skills) of some of the Butterflies children! Our Summer House contains tables and chairs for picnic meals and garden activities; as well as our literacy cupboard. Children can access the literacy storage freely for mark making tools and equipment and story books. Our A-frames were created a few years ago, when we were searching for an open-ended resource that would support physical development of all children at the nursery. Our babies enjoy practicing climbing, while the older children challenge themselves to balance across the bridge or jump safely from each step. In our triangle ‘stage’ we store smaller toys for the children to access, as well as using the stage itself for small group activities such as singing or story telling. The children love exploring the area behind the stage, which is full of plants (and usually some bugs!). We are currently in the middle of a project to transform the garden shed into a roleplay area! We will be building on the children’s current interest in Spring and growing by creating a garden centre/farm shop, complete with chalk wall to encourage our little ones to make marks! We love to make the most of our outdoor space with numerous games and activities for the children to explore. On this day, the photographer captured a water tray ball run experience. The children explored gravity and angles by dropping the balls through tubes propped up on different height crate towers (that the children had also made). The children also used the water to develop their physical skills of pouring and mixing (particularly with sand! ), as well as counting all of the balls to support mathematics! We are pleased to announce that we will be embarking on an emotions project to support our current behaviour policy. We recognise that behaviour is linked to emotions – when children are happy and content, their behaviour reflects this secure state of mind; but when the child is unhappy, cross or even simply tired, behaviour can be much more challenging! In the Butterflies room, we will be placing a big emphasis on emotional literacy. We have created an emotions self-registration station, where the children are encouraged to reflect on how they are feeling. While the project is in its infancy we will focus on helping the children to identify when they are feeling happy or sad; but we hope to extend this as they children become more aware of how they are feeling. Throughout the nursery we will also be using visual aids to support children’s understanding of both their own emotions and how their actions can affect the emotions of others. These happy/sad faces are used throughout the day, and have prompted conversations about behaviour. One of the Butterflies children even used the happy face to reward one of the practitioners for helping him tie his shoes! Back in the Autumn term we embarked on our latest Westgate Project: Story Telling! We had noticed that some of our children did not find traditional story time particularly engaging, so we looked for alternatives. This year we will be trialing Story Telling sessions across all age ranges in the nursery. Our Story Telling sessions are based on the work of Mary Medlicot, who advises that children need to be involved with the telling of stories. Rather than simply sharing a picture book with the children (although we recognise that this is beneficial for literacy development too! ), a story telling session involves one practitioner telling a traditional tale to a smaller group of children, using props instead of pictures. Hands on laps and lips tight shut! There is a wealth of research that indicates that the more stories a child knows and can tell, the better their future outcomes are. Traditional tales help children to explore their culture, and those of others. They support children to develop problem solving skills (as they may find solutions based on these stories); empathy (as they imagine themselves in the character’s situation); and of course, listening, understanding, communication and literacy. Following the Story Telling session we always offer a quick activity to support early literacy – whether this is climbing pretend (and sometimes real) trees and beanstalks (to support gross motor movements and story recall); laying and following pebble trail (supporting fine motor skills, balance and coordination); or simply being bears (gross motor and imaginative skills)! So far we have noticed that the children’s engagement, concentration and attention during Story Telling sessions have increased hugely. As soon as we begin our Story Time chants (see italics), the children’s attention is rapt as they wait to be transported to another world. Now that we have a wealth of experiences; we’re excited to learn more in the rest of the year! We hope that by the end of the academic year, our children will be able to retell stories independently, or even make up their own versions of stories based on the traditional tales we share. I wonder who we’ll find inside?